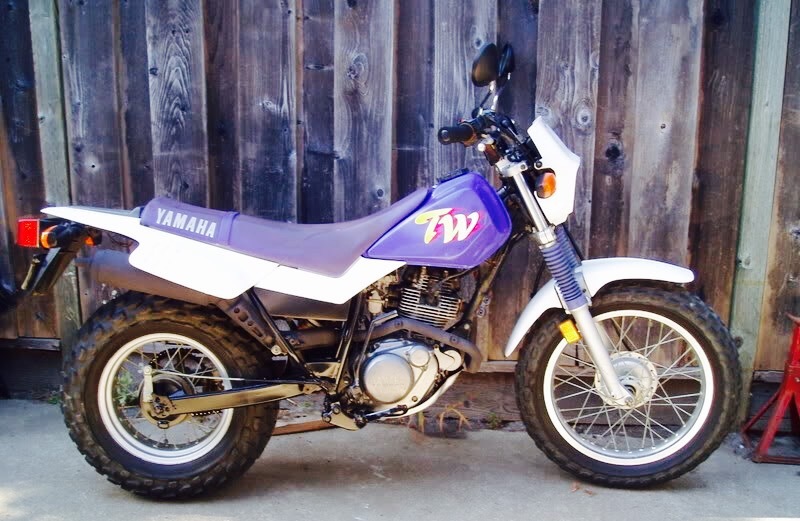 When I bought my first motorcycle, it was a 1991 Yamaha TW200 Trailway. 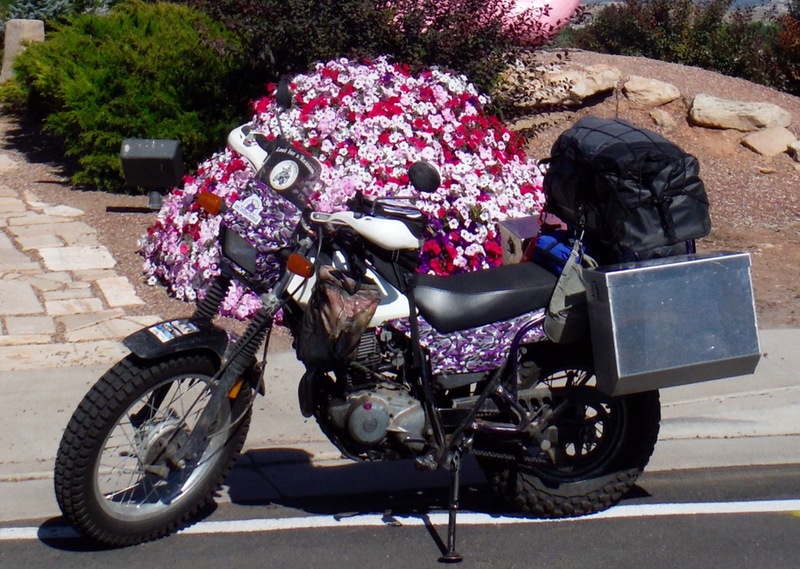 The color scheme for that year as I call it “Barbie Purple”. Russ suggested I come up with a name for my bike. I decided to come up with a name based the color since I didn’t think I would be changing the look anytime soon. When I first started looking into name of characters that were purple. Upon research, I could only find a handful of characters that were purple; Barney (oh heck no! ), Cheshire Cat (a tongue twister for me), Grimace (eh? ), and the Purple People Eater (that is the one I decided on). So that became my handle which is kind of long winded. Most people either call me Purple or PPE for short. Which hence why I choose the color Purple for our today’s blogger challenge. Nice photos and the TW aka PPE is looking pretty good trying to blend in with the background. They are hard to find around here. People don’t want to part with them. Wow…I’m surprised…it is easy to find them around here but they always are asking way too much for it. PPE looks like a fun ride. It sure has fat tires. I guess that’s for off roading? 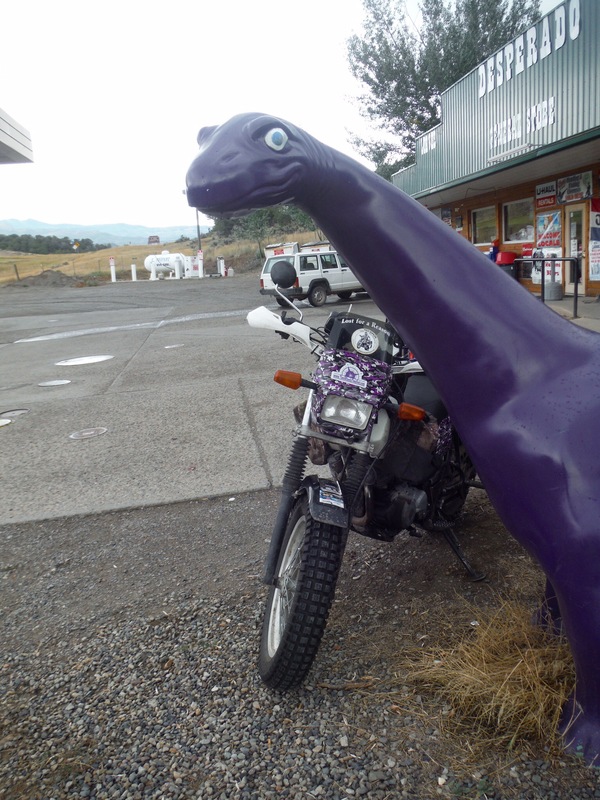 I love the purple dinosaur! Sinclair, right? The fat tires helps in off road especially sand…it plows through it. Yes, it is a Sinclair dinosaur but got a make over. The Sinclair out here is green. Don’t know if that is the standard color or not.